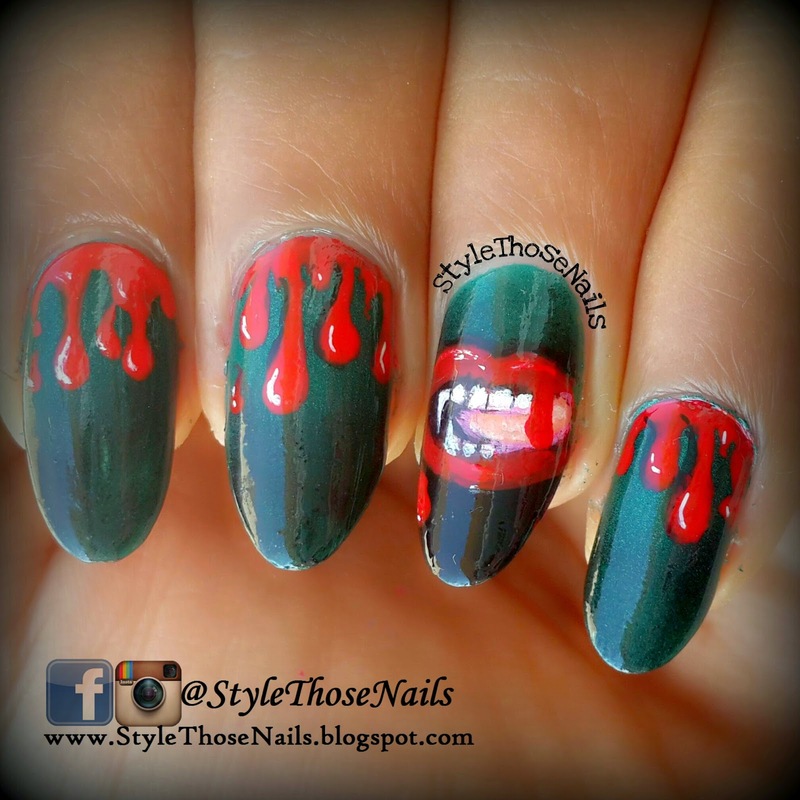 I started with a dark green and black gradient base then used red color for dripping blood. For vampire's mouth I referred to a picture on google. 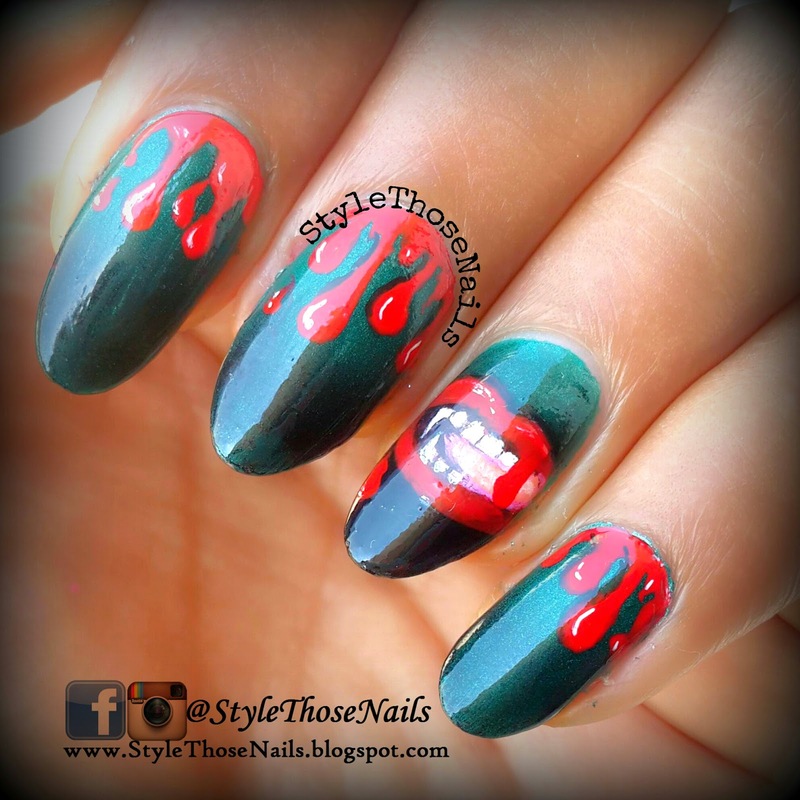 I love how this mani came out and this one is my favourite of all halloween nails I did. 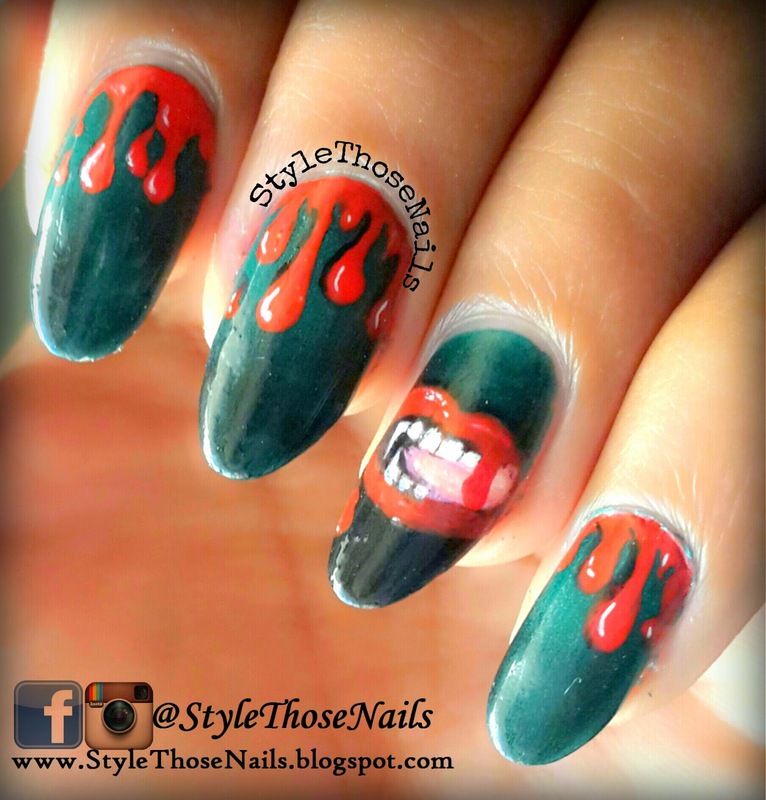 You can check out my other halloween nails HERE.